We are a leading Manufacturer of contactless hf card, combo uhf and lf card, scosta smart chip card, 125 khz prox em lh card, uhf card and combo uhf and hf card from Ahmedabad, India. 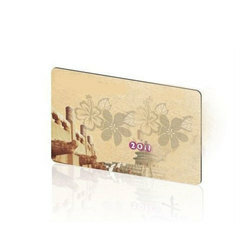 Contactless HF Card contain an embedded antenna instead of contact pads attached to the chip for reading and writing information contained in the chip's memory. Contactless cards do not have to be inserted into a card acceptor device. Instead, they need only be passed within range of a radio frequency acceptor to read and store information in the chip. The range of operation is typically from about 2.5" to 3.9" (63.5mm to 99.06mm) depending on the acceptor. Contactless smart cards are used in many of the same applications as contact smart cards, especially where the added convenience and speed of not having to insert the card into a reader is desirable. There is a growing acceptance of this type of card for both physical and logical access control applications. Student identification, electronic passport, vending, parking and tolls etc. 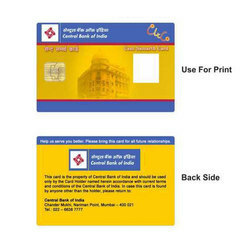 Keeping the segregated requisites of our customers in view, we are engrossed in bringing forth a wide assortment of Combo UHF and LF Card to our clients. In conformity with the industry set principles and quality norms, these offered products are widely accredited. Together with this, we assure delivering these at our clients’ premises within the assured time. 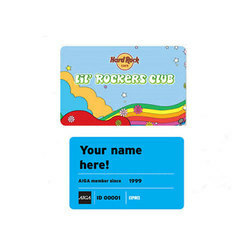 Delta Cardz Technology is a leading manufacturer of different types of smart cards in India. The company provides excellent and satisfactory services to different kinds of clients in the sphere of loyalty, health, government, driving license, RSBY, etc. It is a part of SCOSTA certified unit that gives a surety of quality and reliability to the customer. 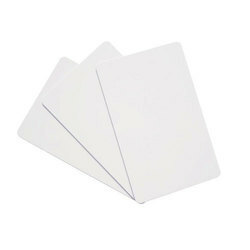 Its long product line of smart cards ranges from a 1 KB memory card to 64 KB SCOSTA cards. Pocket-sized ID smart cards provide efficient services in the identification, verification, data storage, strong security authentication and application processing purposes. Meet multiple requirements of corporate and government sector. SCSOTA Smart Cards for Driving License and RC Books. SCOSTA Smart Cards 4Kb onwards. 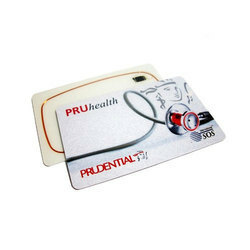 Printing on the sticker which can be stick to the surface of clamshell card. Having a definite quality administration system, we are providing a comprehensive assortment of UHF Card to our customers. Valued for their perfect finish and longer life; these are hugely commended. 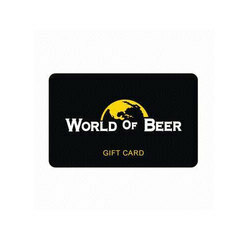 Along with this, our patrons can avail these at affordable rates from us within the assured time. Supported ourselves with infrastructural amenities, we have come up with a comprehensive collection of Combo UHF and HF Card. Fabricated and developed with utmost exactness and accuracy, these are widely credited and recognized amongst our patrons. Furthermore, we test these on diverse grounds before finally delivering them at the endpoint of our patrons. Comprehending the changing needs of our customers, we are offering an unbeatable consignment of Combo LF and HF Card. 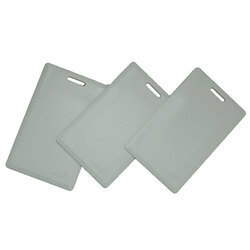 Appreciated for their high quality, reliability and fine finish, these offered products are highly demanded. Besides this, these are well checked before getting shipped at the end of our customers.